Laser Ops is a state-of-the-art family entertainment center. We offer over 55 Game Arcade, Tactical Laser Tag, Archery Tag, Bazooka Ball and Virtual Reality Gaming.  When you visit Laser Ops, you have the opportunity to play a variety of cutting-edge games all under one roof, in a premium, air-conditioned facility. We also have an onsite Bar and Grille that serves Bar Fare and a variety of other food offerings and full bar. Our 24,000 sq. ft facility provides a safe and air-conditioned indoor space to have endless amounts of fun. Nowhere else in Florida can you play all the games we offer under one roof. Our Tactical Laser Tag called Earth 2165 is set in an 8,000 sq. ft Post-Apocalyptic Arena. Our AstroTurf Sports Court allows for games of both Archery Tag and Bazooka Ball. If you want to take a more laid-back approach, come and enjoy our 55 game arcade and Virtual Reality Gaming Area. Additionally, we have conference rooms, private event spaces, and birthday rooms available for all types of get-togethers. Whether you are hosting a birthday party, church outing, sports group event, bachelor or bachelorette party, we can provide the perfect food and space for your gathering.